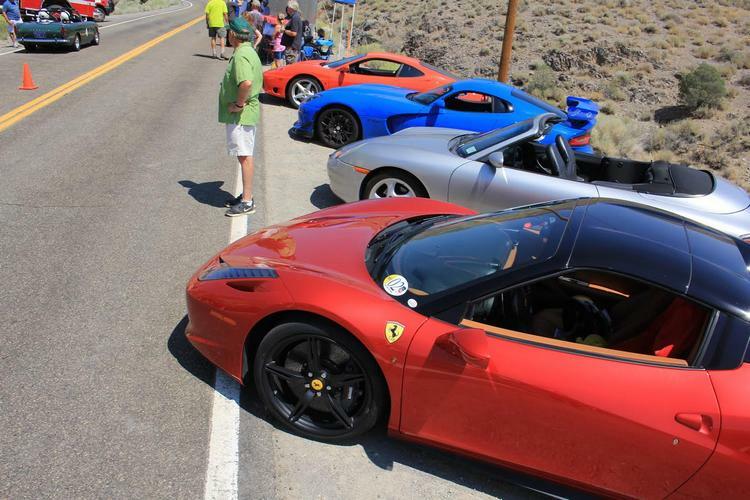 As August drew to a close, the Ferrari Club’s Virginia City Hillclimb brought some spectacular automobiles to the Comstock for the annual ritual to see how quickly the cars could make it from the bottom to the top of the Alternative Route on Highway 341 (affectionately known at the Truck Route to the local drivers). 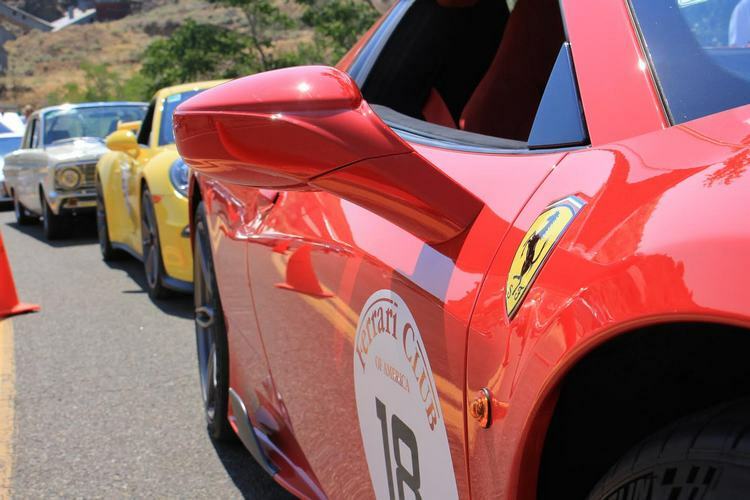 This 5.2 mile stretch of road that connects Silver City with Virginia City is perfect to test the handling and acceleration of any sports car and has been the site of the Ferrari Club of America’s Pacific Region’s for decades. 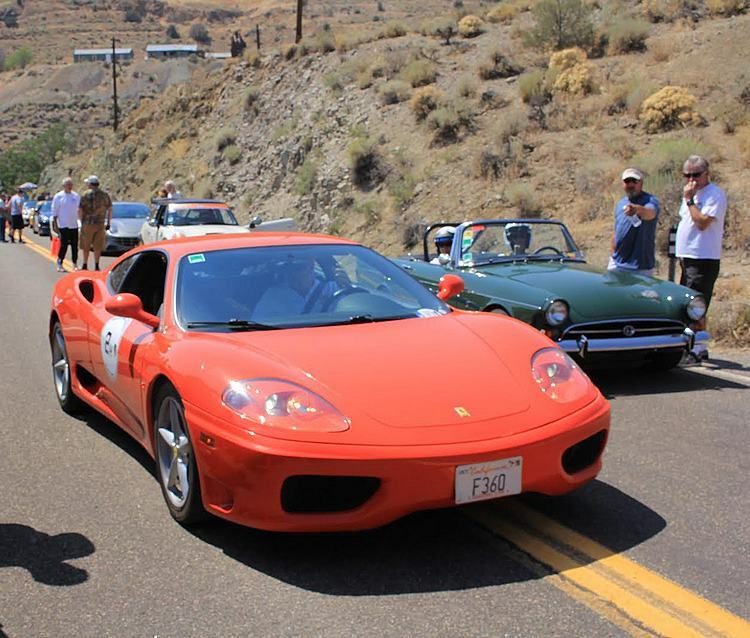 The supercars were well represented with Ferarri, McLaren and Porsche cars, but there were some great classics (Sunbeam Tiger, Ford Falcon, Ford Mustang) and some imports laying down the rubber and tearing up the mountainside. From the looks of the crew at 5:00 pm on Sunday, they gave their all for the drivers. The racing stopped at 5:00 sharp, and everyone looked spent but were looking forward to the banquet at Pipers Opera House. In talking to the drivers, they love the venue, love coming to Virgnina City and had a really lovely time taking their cars up the hill. The crowds were thick at the starting line, and the spectators got what they came for, but the number and types of cars was down from years past. Hopefully, next year will deliver more action. For octane lovers, however, things looked and sounded great.